If there’s one thing I love about summer (besides sun and sand, of course), it’s a good, old-fashioned hot dog off the grill. There’s something about that meat, white bread and condiment combo paired with a sunny day and a maxi dress that makes my heart sing. In my mind, wiener season runs from Memorial Day to Labor Day (don’t get me wrong — I’d happily down a dog in December), which means the time has come to prep for another summer of al fresco frank consumption. Hallelujah! The problem with city dwelling? Grills don’t fit on fire escapes. Trust me; I’ve considered it. So at this point in my life (read: pre-backyard), I have to stick with the city’s chef-prepared wieners. Deep fried (YOLO) and topped with pickled bean sprouts and miso mustard sauce, Uni Sashimi Bar Chef Tony Messina’s signature street food-style ‘dog is a must try paired with a bowl of umami-packed noodles during the high end restaurant’s late night ramen service, Friday and Saturday evenings from 11:00 PM to 2:00 AM. 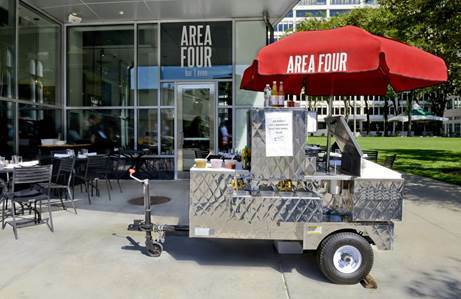 If I could eat a hot dog a day from Area Four’s seasonal hot dog cart without risking imminent heart failure, you better believe I would. Made with sustainably raised, grass-fed beef from BN Ranch in California, these all-natural dogs are topped with the classics along with A4’s house-made condiments like pickled banana pepper (the bomb diggity) and jalapeno-pineapple relishes. Served alongside Spindrifts and chips, the wieners are best consumed while playing Area Four’s free-to-use lawn games in Technology Square. Hot dogs and horseshoes, anyone? 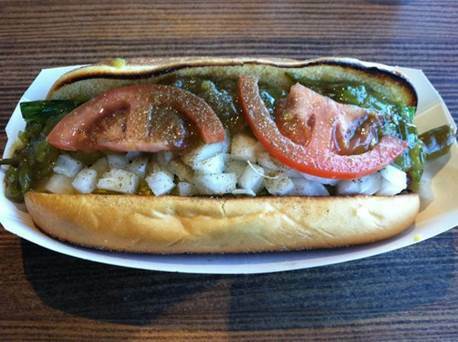 It might not be a Boston classic (thanks, Windy City!) but Shake Shack’s Shack-cago Dog gets high rankings, piled high with veggie-packed toppings like Shack relish, onions, cucumber, pickle, tomato, celery salt and more. 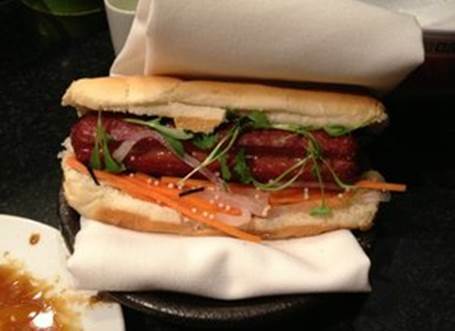 Garnishing a hot dog with salad has the same nutritional value as salad alone, right? Although it’s the least thoughtful and most expensive frank on my list, it wouldn’t be summer in Boston without beer on tap and a Fenway Frank (two Fenway Franks?) at Fenway Park. These Kayem dogs have been served locally since 1909 and in my humble, hot dog-loving opinion, a Red Sox game is not complete without one. 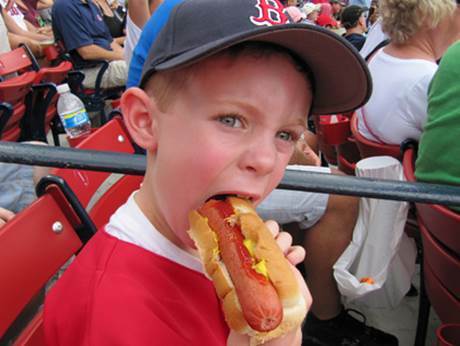 Happy hot dog season, folks!